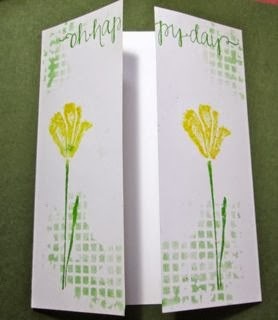 I added details in the corners of this card using a Memory Box stencil. 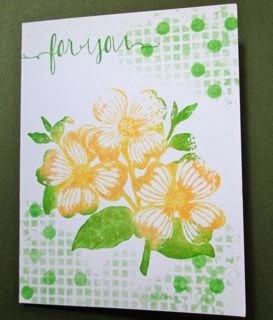 The stamp is S5362 Dogwood from Hero Arts. 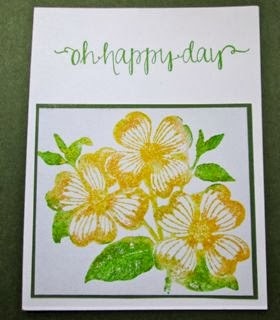 There's a little gold shimmer on the flowers from Delicata Gold ink that I didn't completely clean off the stamp before inking it up with the Distress inks. I used two stencils for more interest, grid work and dots. Again more grid work stenciling. 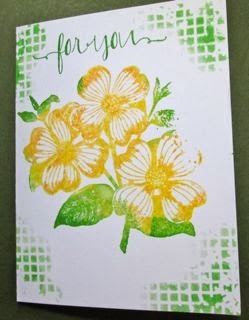 The stamp is from Memory Box, E1865 Whisper Print Wildflower. 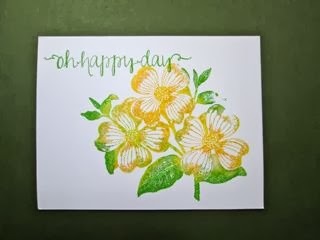 I used a decorative punch on the edge of this card. I added a yellow cardstock banner to the left front panel of this gatefold card. 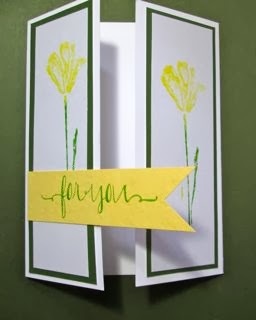 Each of the flowers was stamped on white cardstock and mounted on Dill cardstock before adhering to the panels. 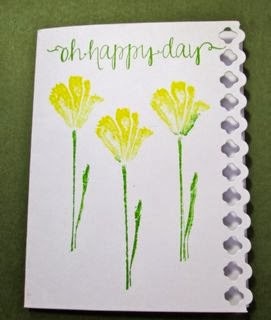 I stamped the Dogwood on white cardstock, trimmed and adhered it to Dill cardstock, and then mounted it on the front of a white notecard with the stamped sentiment. Beautiful cards...you have been busy! These are all really pretty Anne! 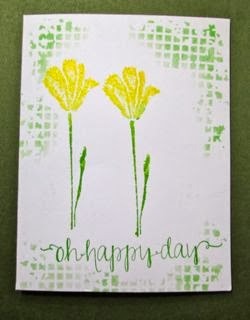 Anne you really enjoyed this week's colour challenge didn't you, what a lovely bunch of cards!